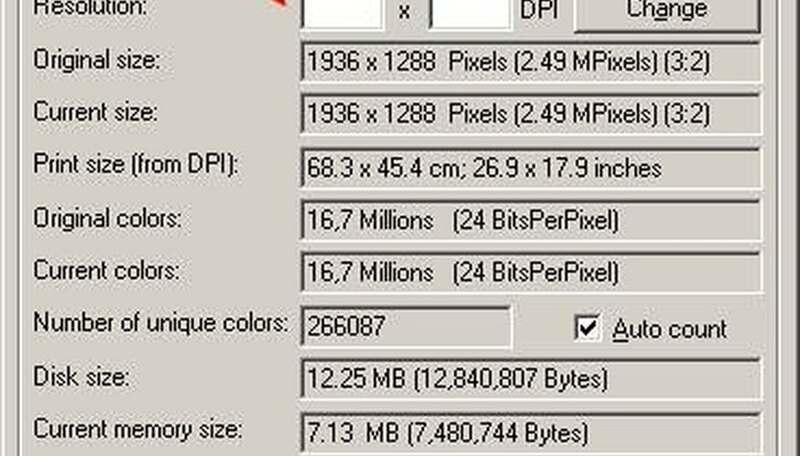 Has your printer ever changed the size of your picture from what it was on your computer screen? Have you noticed that your printed pictures tend to look choppy? 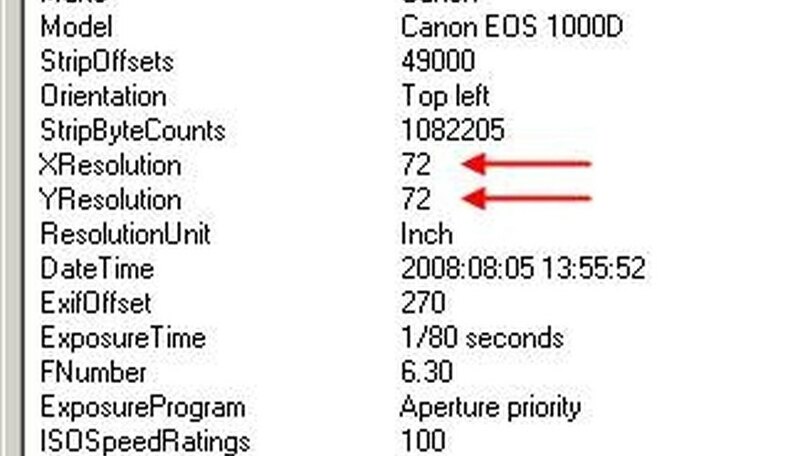 This may depend on the dots per inch, or DPI, of your digital pictures. DPI refers to how many tiny blots of color will appear in every inch of the printed image, and relates to the resolution (commonly in megapixels) of the original picture. There are two ways to find an image's DPI--with Windows Explorer, and with the free image viewer IrfanView. Click on the "Summary" tab in the top of the pop-up. 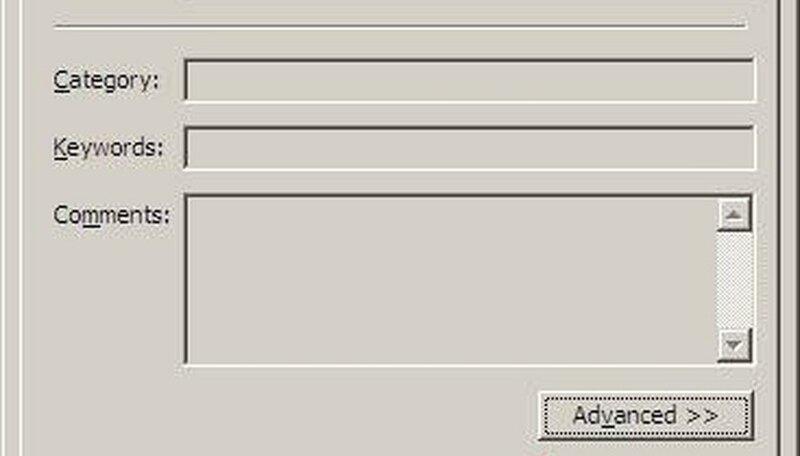 If "Title," "Subject" or "Author" fields are displayed, click the button "Advanced >>" at the bottom. In the Advanced properties view, the fields "Horizontal Resolution" and "Vertical Resolution" indicate the respective DPIs. Go to "Image/Information," or press the shortcut key "I." DPI appears in boxes next to "Resolution" (the fifth line of the pop-up window). If the resolution boxes are blank, click the "EXIF info*" button at the bottom of the properties window. In the new, more detailed pop-up, the camera's horizontal and vertical DPI are next to the items "XResolution" and "YResolution." 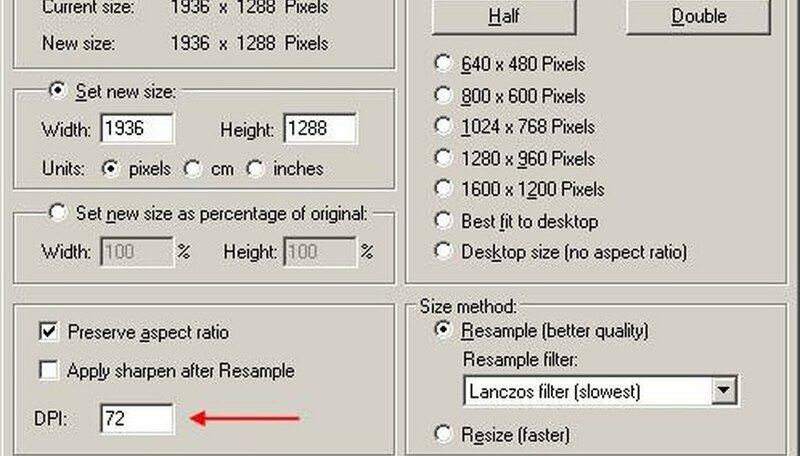 To bypass checking the EXIF resolution, view the DPI in the "Resize/Resample" dialog by going to the menu "Image" and choosing "Resize/Resample," or pressing the shortcut "CTRL" and "R." The DPI will be at the bottom left. To find out how big your picture will be before printing, divide the pixel resolution by the DPI: A 2048 by 1536 pixel image (~3 megapixels) at 300 DPI is about 6.8 by 5.1 inches. Conversely, to ensure that a photo will default to a certain size, divide the pixels by your desired size and change its DPI accordingly. With IrfanView you can also change the DPI in Step 3 or Step 5. 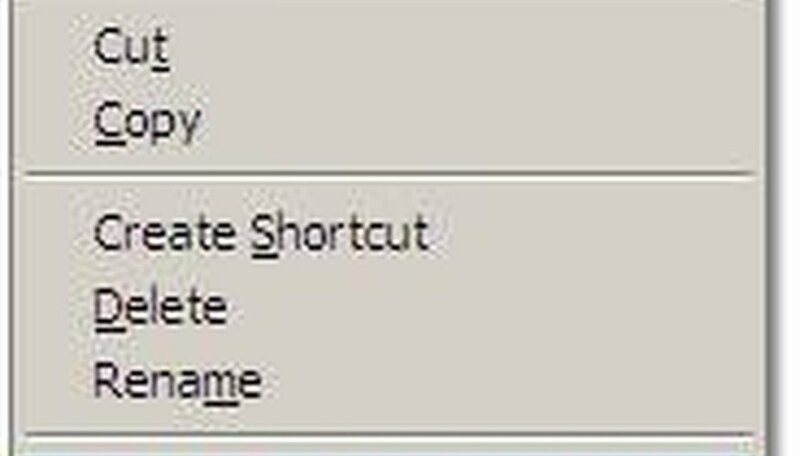 The DPI of most common image types (JPG, GIF, PNG) is available through Windows Explorer. For more exotic types, such as RAW images, use IrfanView. 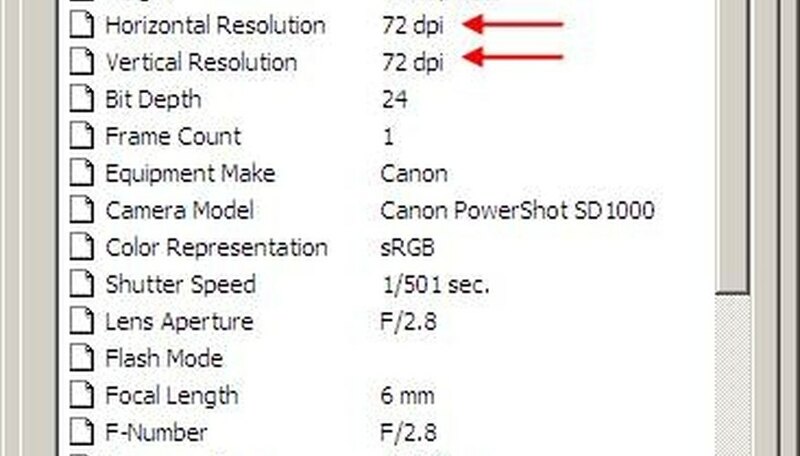 DPI is different than resolution--resolution is the actual number of pixels in the digital picture and determines the base quality of the image, whereas DPI only affects the printed image. When changing the DPI, make sure the program does not re-sample the image (change its pixel resolution), as this may adversely affect the quality. 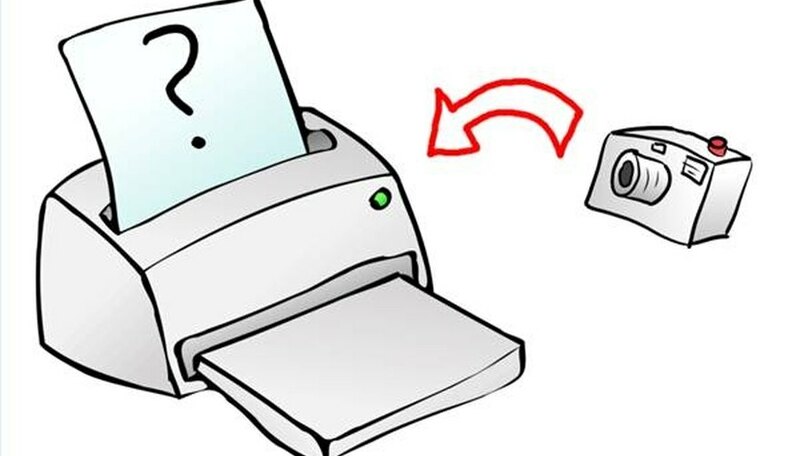 Check you printer's available DPI; different printers may be able to handle different ranges. Higher DPI, while usually meaning better quality, can also result in longer printing times and bigger print-file sizes (an important consideration with network printing). An North Carolina State alumnus, Jeremy R. Schwartz has published several short articles in scientific journals since 2006, most of which dealt with computational algorithms for physical or environmental modeling. The biggest thing that keeps Schwartz from writing is his career as a professional software and web developer.